Conflicts of interest between economic, social and nature conservation goals abound. Discussions during a greenAlps trans-sectoral workshop in Bolzano on 15 May 2014 focused on the need to find compromises and the challenges involved. Spatial planners should ensure a good balance among all interests, but they often struggle with conflicts – some obvious ones and some below the surface. An added difficulty is the need to work at a regional level, beyond municipal, provincial or even national borders. For municipalities, co-operation with other municipalities can be a big challenge and the need for it may not be obvious to mayors and their constituents. Therefore, information, communication and dialogue with different sectors, beyond those directly linked to spatial planning, are very important to raise awareness on the benefits of conserving biodiversity and ecological connectivity, and with it ecosystem services that benefit people. Young people are an important target group for awareness raising activities, but today´s decision makers must not be neglected either. 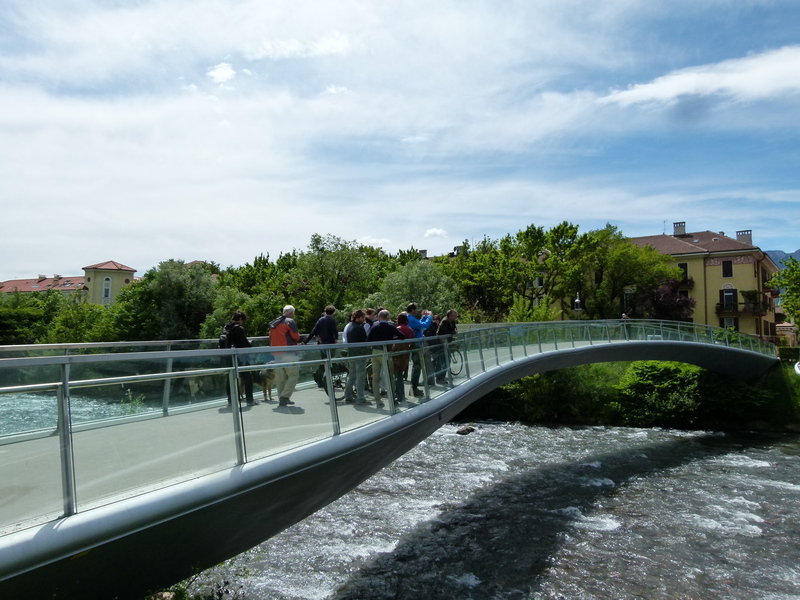 Among the presenters was Peter Kasal, the director of the office of landscape ecology of Bolzano Province, who provided insights into the office´s work, emphasising various obstacles to achieving ecological connectivity. The office of landscape ecology is fighting to maintain forest standing (as important green corridors and elements that make the landscape permeable for many species) and struggles with finding arguments that will work with key stakeholders, such as farmers who want to expand intensive agricultural production. Very small steps towards landscape protection are possible in cultivation areas, such as the “greening” of irrigation channels. It is easier to implement small-scale conservation activities, but next to impossible to reclaim already built up or intensively cultivated land for biodiversity conservation. Nevertheless, even in urbanized human-dominated landscapes, ecological measures that have a distinct impact on conservation of some species are possible. Kasal showed the example of “bird-safe” sound-barriers along highways. He emphasised the need to involve architects and planners when designing measures for ecological connectivity and to include civil society, including children, in conservation activities. Apart from this and other presentations, the workshop participants exchanged information and discussed synergies among other relevant Alpine Space projects.